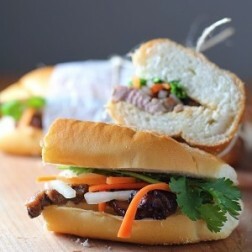 VIETNAMFLAVOR.COM is a travel, culinary, and culture website created and updated with the latest information about destinations, cuisines and many other trivia you need to know and need to discover about Vietnam. All you need to know about Vietnam is here. Vietnam occupies the eastern coast of the Southeast Asian peninsula. Shaped like an elongated S, the skinny country is about the size of Italy, with China to the north, Laos and Cambodia to the west, and the South China Sea to the east. The terrain of Vietnam is varied, with mountainous regions, thick forested areas, and lowlands leading down from the rugged mountains to coastal plains and river deltas. The 3,000-kilometer coastline snakes down, marked by Hanoi, the capital, along with Hoi An, Hai Phong, and the famous Ha Long Bay in the north, Da Nang, and the Old Imperial City of Hue in the mid coastal region, and Ho Chi Minh City (formerly known as Saigon), and the fertile Mekong Delta (“the rice bowl of the country”) to the south. Vietnamese cuisine has been influenced over the centuries by Chinese and Indian cooking, yet it retains its own distinctive mix of harmonious flavors, colors, and textures. The food of the north is heavily influenced by China with its stir-fries and noodle-based soups. As you move south, there’s more flavor-blending with nearby Thailand and Cambodia. The tropical climate down south also sustains more rice paddies, coconut groves, jackfruit trees, and herb gardens. The food in southern Vietnam is typically sweeter: sweeter broths for pho, more palm sugar used in savory dishes, and those popular taffy-like coconut candies made with coconut cream. It’s hard to talk about Vietnamese food without mentioning French colonization, which began with missionaries arriving in the eighteenth century and didn’t end until 1954. Clearly it had a lasting effect on the country, the people, the architecture, the land, and the flavors. Most obvious might be the “banh mi”, where the foundation is a crusty French baguette and the insides are often slathered with meat paste, also known as pâté. But the Vietnamese have taken this sandwich and made it entirely their own with grilled pork fillings, fish patties, sardines, cilantro, chili-spiked pickled carrots and daikon. 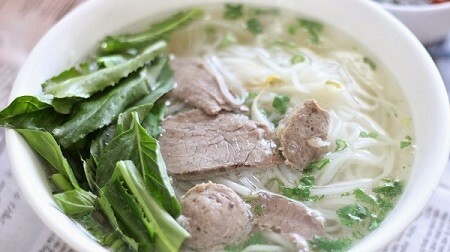 “Pho” is another example of French colonialism leaving its mark—the soup is a blend of Vietnamese rice noodles and French-minded meat broths. Some say that French colonialists slaughtered a bunch of cattle in Vietnam to satisfy their appetite for steak, and the ever-resourceful Vietnamese cooks used the scraps, bones, and any other rejected bits to create “pho”. However, there is so much more to discover in this wonderful land. Come to Vietnam and enjoy every bite and every sip that you made, and you won’t ever forget.